I was of two minds about my TJF fellowship at Adath Israel synagogue as my year began. On the one hand, I was eager to do more than teach in a classroom setting. I wanted to put my newly-minted MA in Religious Education to work. I wanted to take the educational theories and the ideas about educational culture and use them to help lead from below. Though still in the midst of my rabbinical education, I was already a degree-holding Jewish professional, and I wanted to make a difference in some big and obvious way. I wanted to teach students, of course, but I also suspected I had something to teach my peers. On the other hand, I was realistic enough to recognize that I was coming into an unfamiliar situation where it would be pretty hard to make any major changes — a school where I hadn’t taught before, where I would be surrounded by a number of teachers with much more experience than I, and where those teachers had been an integral part of a school and congregational culture that has been developing organically for decades. The Torah portion Mikketz (Genesis 37:1–40:23) has a good lesson to teach about the sort of tension I was dealing with. 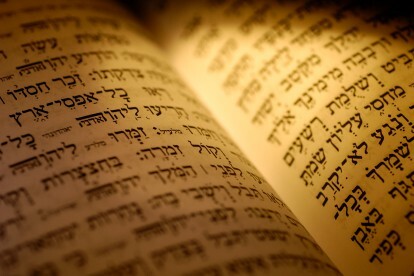 Judaism’s canon of sacred literature provides us with a number of edifying narratives. We can learn a great deal from the interactions between the characters in this narrative — for example, shifting dynamics between Jacob’s sons. The previous portion, Vayyeshev (Genesis 41:1–44:17), introduced us to Joseph, the favorite son, whose prophetic dreams convinced him that he was destined to lead. Those same dreams are a source of his brothers’ jealousy — jealousy that leads to their overpowering him and selling him into slavery. In Mikketz, some time later, we see Joseph triumphant. Famine compels his brothers to leave home, to go down to Egypt, and — unwittingly — to come before their once-despised brother as foreigners seeking his help. No longer a slave, Joseph has become Pharaoh’s second-in-command, and he now holds power over his brothers. Whatever talents Joseph brings with him into the initial situation with his family, they are not sufficient to make him a good leader. He reacts, rather than responds, to different stimuli in his environment: his dreams, his father, his brothers. Even in fleeing from Potiphar’s wife, Joseph is only reacting passively, rather than attempting to exert some proactive control over the situation. He has considerable authority in Potiphar’s household, as he says: “Look, with me here, my master gives no thought to anything in this house, and all that he owns he has placed in my hands” (Genesis 39:8) — yet he fails to make use of that authority in any sort of productive way. When we see Joseph reunited with his brothers, something is clearly different. He does lead here, subtly trying to determine if his father is well, concealing his true identity from his brothers, and manipulating them into bringing Benjamin down to Egypt to see him. What has caused this change? Has Joseph developed new talents? Or is it something else? It is difficult to try to find something worthy of emulation in all of Joseph’s actions. I would, for instance, be horrified to ever find myself using subterfuge, deception, or manipulation in my own role as an educator, rabbi, or leader. It does not seem, then, that Joseph has become more righteous or developed a keener understanding of right and wrong. Nor does his ability to understand the prophetic power of dreams seem particularly more acute; he has always had this ability, as best we can tell from the text. What Joseph demonstrates at this point in the story is that he now understands people — specifically, people like his brothers — much better than he ever did before. We can credit this change to only one thing: he has learned humility. Joseph has amassed a wealth of life experience that now makes him a more effective leader. He has taken charge in dealing with the famine, and he now can take charge when his brothers come before him. I do not think it is a coincidence that Joseph has matured after experiences of betrayal, slavery, and prison. Joseph has spent all his time in Egypt aware that other people are more exalted than he. Even now, despite the elevated position he occupies, he knows that glory like Pharaoh’s is something he will never attain. He has never denied his talents, but his experience has taught him time and time again to be humble. His humility has helped him to be open to new possibilities wherever he may find himself. Anyone he meets — even a fellow prisoner — might change his life in ways he could not even imagine. In teaching my sixth grade class, training madrikhim, and working with other teachers, I have tried as much as possible to maintain a similar sense of humility and of the positive effect we can all have on one another. I now have a great deal of theory at my disposal and a variety of tools in my teaching toolbox, but none of them alone can make me a leader, or even an educator. What I have learned from my fellow teachers (with a little help from Joseph) is that we become better leaders and educators through a constant process of doing, experiencing, and reevaluating rather than just through having the right skills or knowledge. Rather early in my time teaching at Adath Israel, I discovered something surprising about a new teacher with whom I was working. He had spent little time in formal classroom settings, and I was sure that there was much I could teach him. I was impressed by his sincerity and his willingness to learn. In just a short time working together, I learned that he had quite a bit to teach me about being an engaged (and engaging) educator. His extensive camping experience had given him a number of different games and activities that required few (if any) special materials and very little advance notice. I benefited from his knowledge of these techniques, but I benefited more from his example — and even more from having to reassess my assumptions about education in camp and classroom settings. Our communities provide us with ample peers and role models: people who have faced similar challenges and who can show us better — or simply different — ways to solve problems, to live Jewishly, and to be menschlich. The Talmud, however, tells us that Rabbi Chanina said: “I have learned much from my teachers, more from my colleagues and most from my students” (Ta’anit 7a). Going back into a supplementary religious school after finishing an education program has demonstrated to me the truth of Rabbi Chanina’s statement. Very often, it is in working with young people that we experience the most inspiring flashes of uncanny insight, outbursts of unmitigated enthusiasm, and subtle reminders that we, too, have plenty of growing up left to do. When we bring an appropriate amount of empathy and focus to teaching, we cannot help but occasionally see our material and our world through the eyes of our students. When we muster the humility to acknowledge that a child can teach us volumes about life, we cannot help but become better teachers and leaders. We often point out that in becoming B’nei Mitzvah, girls and boys are only beginning to become the Jewish adults they will someday be. Yet we know that at 25, or at 45, the process will still continue. We learn from our students, from fellow professionals, from mentors, and from the various situations in which we find ourselves. We rarely experience the kinds of dire circumstances that form the backdrop for Joseph’s growth as a leader, but as long as we remain humble and ready to grow, we magnify exponentially the impact our life experiences can have on us. Everyone is a work in progress, in one way or another — even (or perhaps, especially) Jewish professionals.